Endless Insider Info for Endless Summer! Summer never ends at Abbot Kinney First Fridays! Come check out our full list of food trucks and insider deets on our new Subscriber site. Every food truck attending this Friday’s event is listed here in alphabetical order by street names so you can easily find your favorite vendor! 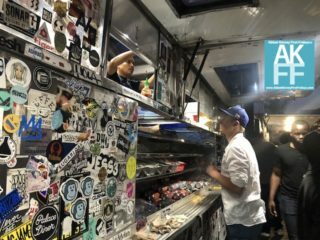 And don’t forget to make a stop THIS Friday for the best local eats including: The Pink Taco Truck on Venice and California and Astro Doughnuts and Fried Chicken on Palms! If you do want the FULL LIST of food trucks click our link and get it for some small change! Plus you can support our efforts too, so we continue bringing all the flavors of the #lafoodtruckscene and #venicefoodtruckscene . PLUS, you’ll get our Insider Tips for First Fridays from the @AbbotKinney1st Team! 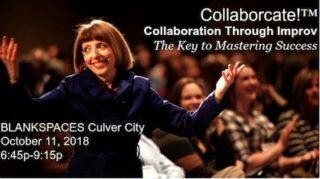 Whether you’re an Entrepreneur or Business Exec, – you will experience what it takes to have awesome outrageous collaborations which are quick, productive and even fun, through generous and respectful communications, while quickly creating BIG BOLD solutions far beyond what you thought possible. Be ready to engage and play! 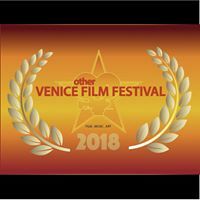 This annual film festival started and curated by Venice Locals shows the best in cutting edge indie fils and music!